The slider on the blynk app will send a value to the NodeMCU/ESP8266 and this value will be written on PIN 8 and the servo rotates that much degrees. That's the way we are controlling servo motor. Ahaa! D8 pin of NodeMCU connects to Command pin of Servo Motor. 3V3 PIN of NodeMCU connects to Power PIN of Servo motor (usually RED one). GND PIN of NodeMCU connects to GND of servo motor (usually BLACK one). 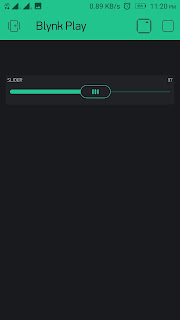 Tap on the screen and add a SLIDER widget on the screen. Tap on the Widget, select Digital PIN 8 and Start value must be 0 and End Value must be 180 (make sure to these values must not less than 0 and greater than 180 or you might break your servo). We only need to add our AUTH ID(noted above), Wifi SSID and Password in the code and upload it to NodeMCU using Arduino IDE. In the code, we do not need to setup our pins this is already done by BLYNK in their library. If you do not have BLYNKEsp8266 library, download the BLYNKEsp library from Sketch menu --> Include Library -->Manage Libraries. Search for the BLYNK and install it. Upload the code to your NodeMCU or ESP8266 and device will be displayed online on your BLYNK app. 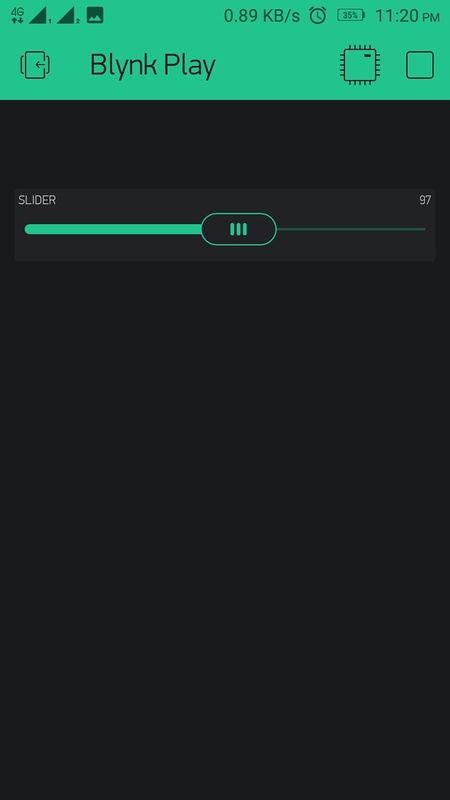 Click Play button on top right of your app and slide over the slider to rotate Servo as much you need. Your suggestions and comments are always welcome! Feel free. Till then, Happy IOTing.